There are no quick ways to make money from home. And there are no easy ways to make money from home. You can most certainly make money from home, but there are no ways that are quick and easy. Making money form home takes work – time, effort and dedication are required. Many people do surveys from home to make some extra cash. There are plenty of companies that do this worldwide. You won’t strike it rich, but you could earn some pocket money. Companies like to hear your opinions so they can make educated decisions about their products and services. Your opinions influence things like product design, cost, packaging and advertising. They pay you for your efforts because your opinions help them sell products. Doing surveys from home is a legitimate way to earn income. However, you need to realise that you will have to complete A LOT of surveys in order to make a reasonable income. Surveys work on volume. Let’s take a look at a few of the survey companies out there. Triaba are a legitimate company. They are members of the AMA (American Marketing Association), subscribe to the AAPOR Code (American Association for Public Opinion Research) and follow ESOMAR’s Code of Conduct. They reach 15 million people in 60 countries. It is free to sign up to Triaba. You just log in and provide your email address. You will also be asked questions about yourself and your preferences so that they can target the most appropriate surveys to you. You need to be a match in order to receive a survey. You will receive your first paid survey within 2 to 3 weeks of joining. They pay between $0.50 and $4.50 per survey. In some cases you may be paid a little more if the survey is very long (greater than 36 minutes). You can start to claim your rewards once you have reached $12.50. You can either have it transferred to your PayPal account, or receive an Amazon.com gift card, or receive a GCodes code. Triaba will send you between 1 and 7 surveys per month. Let’s consider the payment scale. For a 30-minute survey you will be paid $3.25. That represents an hourly rate of $7. Triaba say they may send you between 1 and 7 surveys per month. The best-case scenario is that you receive 7 surveys that are 36 minutes long. 7 surveys x $4.38 = $30.66 per month. 4 surveys x $1.38 = $5.52 per month. You could therefore expect to receive approximately $66.42 from Triaba over the course of a year. Hardly worth your effort. Daily Rewards is a huge company. They claim to have paid out over $65 million to their members. You can do surveys, earn cash for trying new products and services, earn cash for playing games, watching and reviewing videos, a referral program. Whereby if you refer your friends, you earn 10% of the qualified earnings from your referrals (essentially it has an affiliate program). It is free to sign up to Daily Rewards. You need to complete a Sign Up form. They will then credit you with $5. You can expect to receive anywhere from $0.10 to up to a few dollars for each survey. You can claim your payments once your account reaches $30. You can participate in as many surveys as you like, and play as many games as are available, and review as many videos as you like. When I looked at the site today there were about 30 games available, and no videos available. In my opinion, no, Daily Rewards is not worth it. You will spend hours upon hours on the site and you will not get any decent money for the hours that you will put in. Signing up is easy. 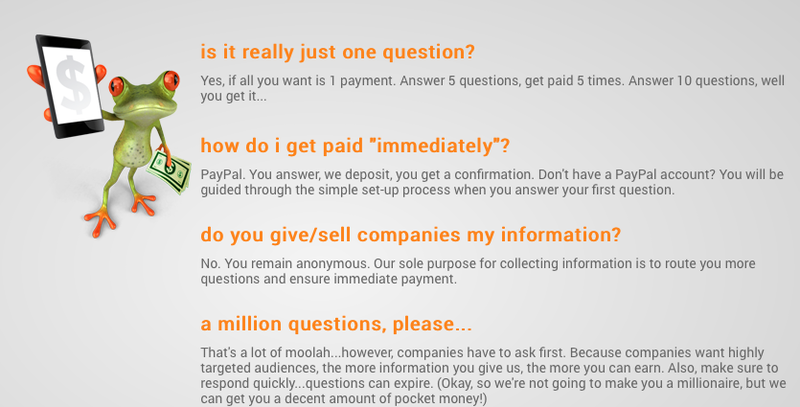 Just a few simple questions as you would expect. You will be notified that they are becoming Opinion Outpost, and you will receive an email form Opinion Outpost to confirm your registration. You then fill in a few questions about yourself to get started. Your area code, family status, education, employment status, salary bracket. You then spend about 20 minutes providing very detailed information about yourself and your habits. Then before you can complete a survey you are given another survey to do to. Honestly this is just starting to annoy me now…. Surveys take between 10 and 40 minutes each. The longer the survey, the more points you get. You can start to claim your rewards when you reach 250 points (which is equivalent to about $5) if you want an Amazon gift card, or 500 points ($10) if you want it transferred to you via PayPal or for an iTunes gift card. Is Opinion World / Opinion Outpost worth it? You will provide a LOT of upfront information to ‘match’ you with surveys, and they say you may get a survey each month. You will spend at least half an hour setting it all up and you may not hear from them to participate in something for several weeks. I cannot imagine any person earning anything much other than a small amount cash over the course of a year. Although there will be access to several surveys. It will take you loads of time. The verdict: OPINION WORLD / OPINION OUTPOST IS A MAYBE. If you’ve got loads of time and nothing else to do it will earn you some spare money. Since signing up to Opinion World I have actually received several surveys. It feels like they email me daily, and sometimes twice daily, with a new survey to take. 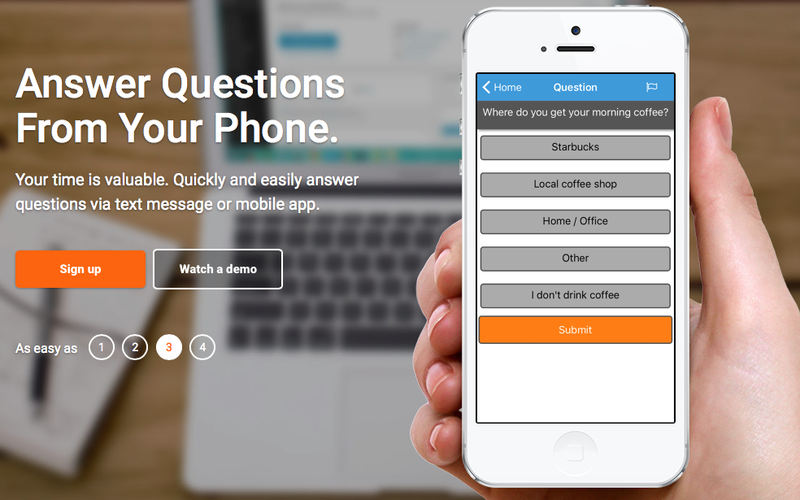 1Q are trying to shake up on the online survey world by delivering quick questions (literally one question) to your mobile phone via their app. It only takes a few minutes to sign up and download the app. It’s quick and easy. 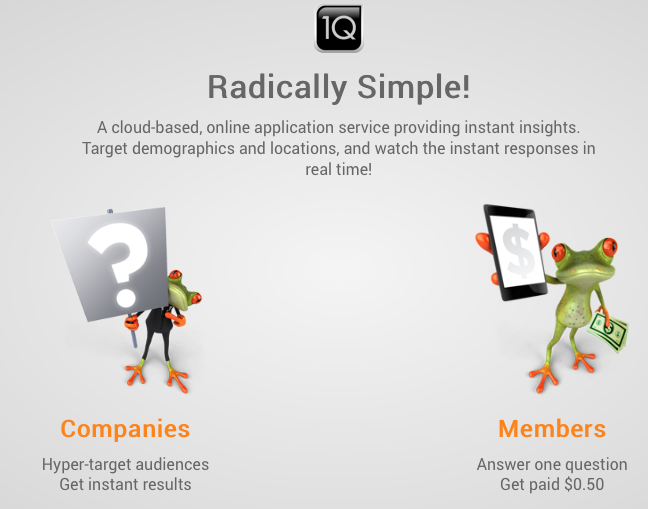 The added bonus about 1Q is that once you sign up, they give you your own affiliate code, so that if anyone clicks on your code and then signs up to 1Q, you get $0.25 each time. You won’t strike it rich, and you won’t be able to quit your day job just yet, but you might get a little bit of pocket money for not a whole lot of work. If you get sick of hearing from them, just unsubscribe. Simple. If you want to make easy money, doing some surveys to tide you over can’t hurt. You will need to sign up to a few different companies though if you are wanting to earn quick cash. Please understand that doing surveys will not make you get rich quickly, it may however give you some pocket money. There is a much better way to earn money from home. It is not a quick or easy win. It is less of a job and more of a CAREER that will be long term and will grow over time. In my view, affiliate marketing is the very best way to go to producing a lucrative online income. With Wealthy Affiliate there are no barriers to getting started, and you have the tools and support to help you build a consistent revenue stream. I consider Wealthy Affiliate to provide the best affiliate marketing training available, with exceptional tools and support available. Get started today and try it out for yourself!